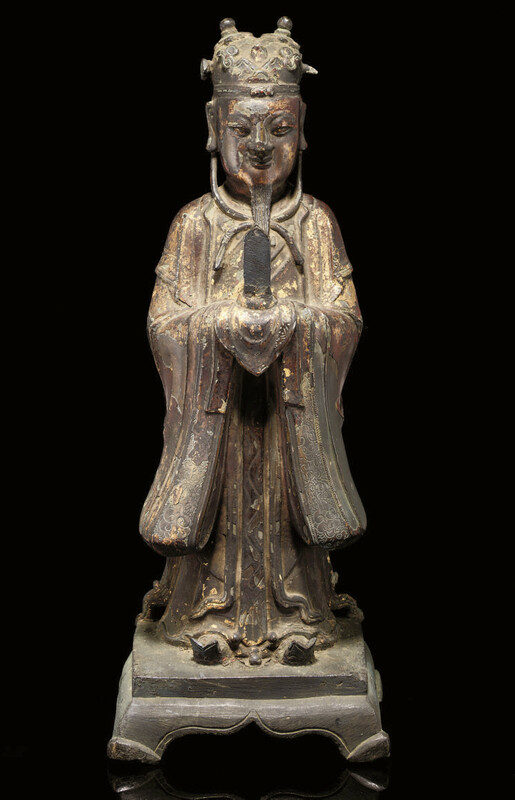 the bearded figure standing forward upon a rectangular base, wearing long florally incised robes and tall twin peaked hat, holding before him a hu -- 15 3/8in. (39cm.) high.